Hummingbird Migration Spring 2016. 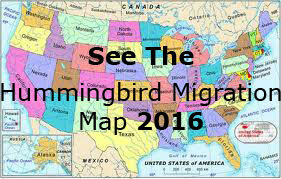 Migration sightings and map for Spring 2016. Welcome to the Hummingbird Migration Spring 2016. Use the list of sightings and the migration map to estimate the arrival of our beloved hummingbirds to your area. We now have 7 years of sightings collected from 2011 to 2017 to compare arrival dates. Submit Your Sightings Right From Your Smartphone! one for the List and one for the Map. See the List of Hummingbird Sightings for 2016 to follow the hummingbird migration. 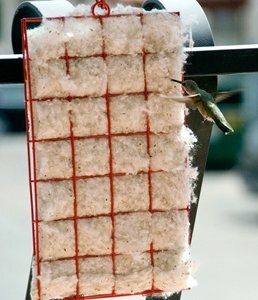 Give them a helping hand when they arrive with our "Hummer Helper Nesting Material Kit"! 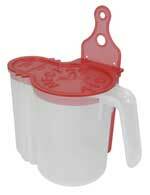 The Dr. JB's Hummingbird Feeder! 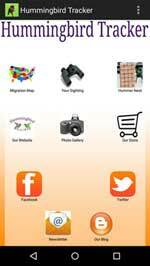 Our New Hummingbird Migration Tracker App! 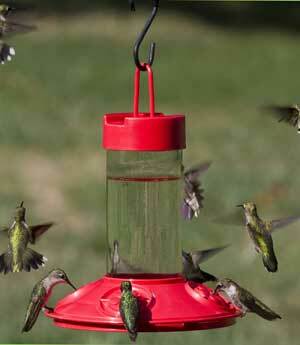 Our New Hummingbird Migration Tracker App is Now Available Here! to share "your sightings of 2016". We, who are anxiously awaiting the Spring arrivals, will be able to track the hummingbird migration through your posts. Please fill out the form below to share "your sightings of 2016" in the month by month LIST of sightings below. 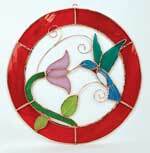 We, who are anxiously awaiting the Spring arrivals, will be able to track them through your posts. Click the markers to see the location of that sighting. Submit Your Sighting to the Map by Using the Form Below. I will be updating the map daily as we receive your sightings. You can keep track of their journey by viewing our interactive map. It can be fun to report to others your first sightings and keep a record for yourself from year to year. periodically updated throughout the day. Please submit just one sighting. Tip: Zoom in and out using the "Zoom Icon" in the bottom right corner to seperate (give space around the markers) then click the markers to see the date, location and species. You can also drag the map around to zoom into a particular area. We thank you for participating in tracking the hummingbird migration for 2016 with your sighting submission. Please share this page with your family and friends. The more submissions that we receive, the more data is collected to help us all to determine when our hummingbirds will arrive each Spring. See the previous years sightings to help estimate the arrival of the hummingbirds in your area.